Saturday 23rd August KO 3pm Mossie Linnane League Cup Group D – Carrigtwohill United A v Greenwood A, Ballyadam Park, Pat Murphy. 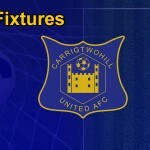 Sunday 24th August KO 10.45 am AUL 3A – Carrigtwohill United v St John Boscos, Ballyadam Park, D.Donovan. 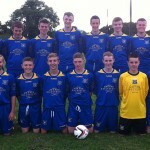 Friday August 15th Daly Industrial Supplies U17 League Cup. 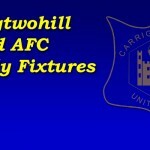 Carrigtwohill United 4 Youghal United 5. Sunday August 17th Mossie Linnane League Cup. Group D: Castleview 1 Carrigtwohill United 2. AUL 3A. 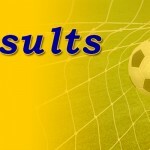 Carrigtwohill United 3 Carrigaline United 2.